Coming November 5, 2017. Want to be part of setting a world record? Then join the (hopefully many!) folks at the Surfing Madonna Beach Run! 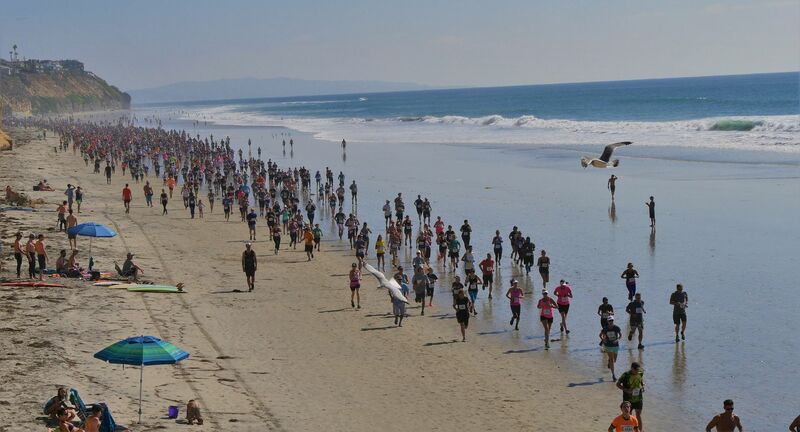 The goal is to have at least 5,000 people participate to vie for the title of “Largest Beach Run”. An official Guinness Book of World Records judge will be there to officially verify and announce whether the record has been beat. Either way, the race is a scenic one on hard-packed sand next to the Pacific Ocean along several Southern California beaches. Choose from race distances of 5K, 10K, and 15K, all with water and aid stations along the course, and a big beach party to celebrate the finish and hopefully the world record!